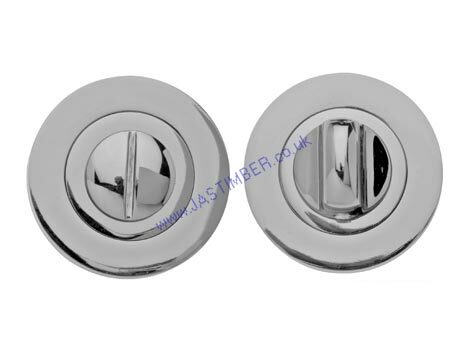 The Dual-finish Designer Door Hardware Range on Round-Rose fixings from Intelligent Door Hardware is an elegant contemporary range of modern designs available in a wide variety of finishes, to add the perfect finish to your interior door. Supplied with two-piece screw-on square-edged round rose, screws for secure bolt-through concealed fixing, and with 5mm spindle. 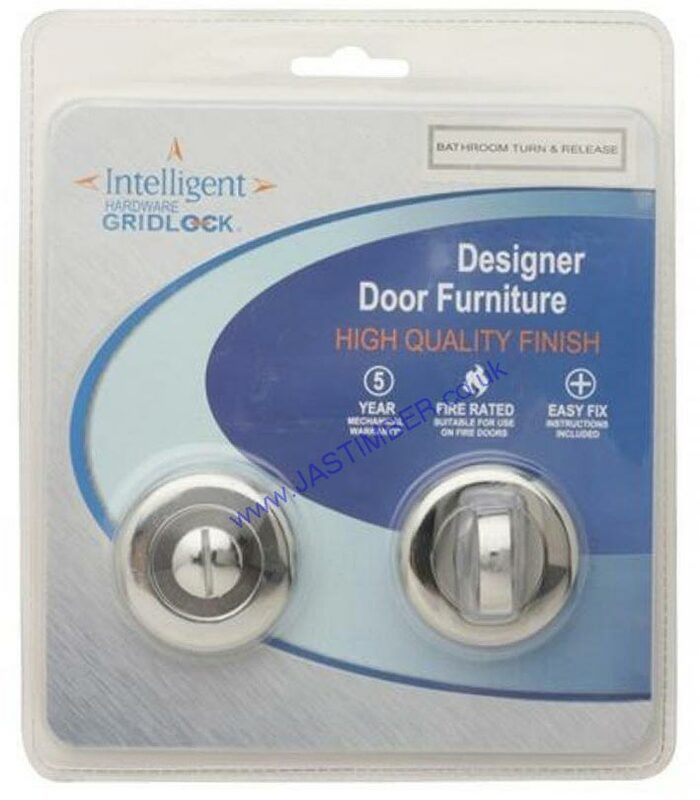 Intelligent Dual-finish Door Furniture metal finishes are normally a plated or anodised effect, on a base metal. Intelligent Bathroom Thumbturns & Releases are sold for internal use, but have a clear lacquer finish, to help reduce tarnishing. E. & O.E. see T&C - We do try to keep prices and specifi­cations of Dual-finish Bathroom Thumbturn & Release correct, but mistakes can be made!